Description — EP record (18 x 18 cm), in printed paper sleeve, with cover (1 f., color picture on obverse, lyrics on reverse). 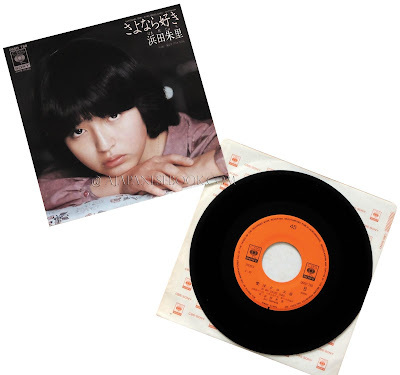 Remarques & avis / Review — The first single album of the Japanese idol and singer HAMADA Juri (1962-), then 18 years old. 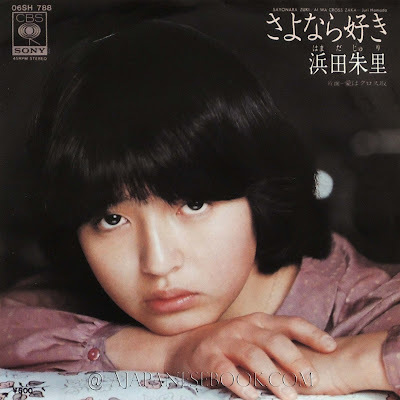 Fine cover portrait by SHINOYAMA Kishin.